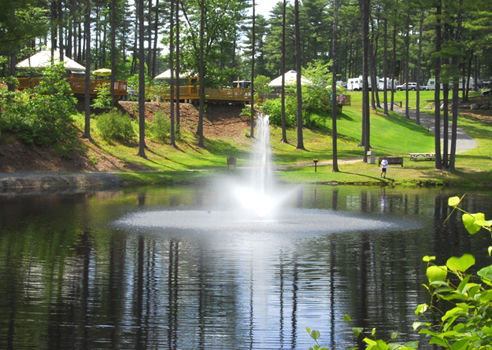 Normandy Farms Family Camping Resort is nestled deep in the woods between Boston and Cape Cod in Foxboro, Massachusetts. Normandy Farms is a luxury camping destination that has been a family tradition since 1971 and has been widely recognized as one of the premier resorts in the world. 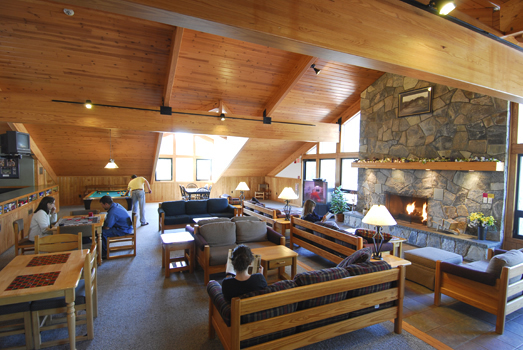 Guests can relax and enjoy in our peaceful setting, or participate in any one of our exciting activities. Our spacious pull-through campsites are complete with water, electric, sewer, and cable service. We also offer deluxe, onsite cabin and YURT rentals for a fabulous way to experience camping in style. For a more affordable option, try one of our popup trailers that sleep 6 and will be delivered and setup on your site of choice. Or elevate your experience in one of our romantic, yet rustic safari tents. And for those that prefer to keep their tents off the ground, we offer lean-to sites. Normandy Farms is rich in history, dating back nine generations to Francis Daniels, an officer in the French Army. After being captured by privateers and brought to Massachusetts, Francis carved a farm from the wilderness in 1759. As the years have passed, the farm has grown in acreage and each succeeding generation has taken its place at Normandy Farms. From dairy to chickens, then raising sheep, the family has all worked the land while adapting to the changing times. 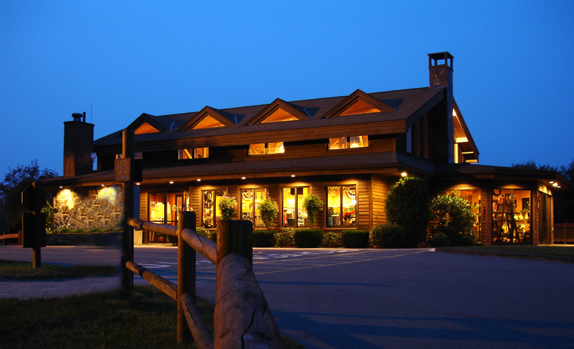 Today, Normandy Farms proudly welcomes guests from around the world and we look forward to hosting you and your family. Our five star amenities include a 20,000 square foot air-conditioned post & beam Recreation Lodge with Adult & Activity Lofts, Arcade, a heated indoor pool, sauna, and Fitness Center. Unwind with a relaxing massage in our Wellness Center. We also have 3 outdoor pools, 3 Jacuzzis, a Gift Shop, Camp Store, a Business Center, Concierge, complimentary WiFi, Snack Bar, Restroom & Laundry, 2 Playgrounds, stocked Fishing Pond, Horseshoes, Shuffleboard, an 18-Hole Disk Golf Course, Bocce, Basketball, Tennis and Volleyball courts, Soccer Field, Nature Trails, an awesome Bike Park, and 2 Softball Fields. If that doesn't keep you entertained, our recreation schedule includes an extensive array of activities including yoga, ceramics, paint night, and much more! 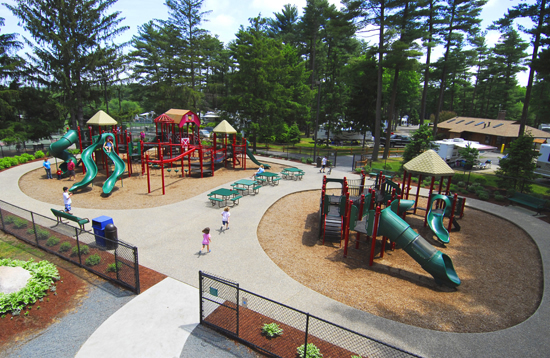 We also have a spacious dog park complete with agility equipment, dog wash, picnic areas and a water fountain. Additionally, we offer various themed weekends including Wellness Weekend where you can relax with a detoxifying facial or massage. Our popular Halloween weekends are complete with scary costumes and a spooky haunted hayride. And don't forget your grass skirts for Luau Weekends where we offer an outdoor pig roast. Visit our website for a complete activity schedule and much more!